Metallic wall tiles are becoming very popular; not to mention attractive. They will instantly create a wow factor in your home and look great as a feature wall. Brick pattern subway tiles work well with metallic tiles; however, they look great all around the home, whether you choose to add them in the shower, as a backsplash in the kitchen, or as a feature wall around a fire place. Rough and natural stone look great on walls and will definitely impress your neighbours. The rustic appearance looks great in kitchens, although can work very well in living rooms as well. This multifunctional style looks great throughout the home, and can be created in a number of different colours and materials. Cladding Tiles are a good example of a rough stone finish. Arabesque tiles work best in kitchens and bathrooms, and will create a twist on normal tile patterns, which will instantly draw people's attention to the room. Arabesque tiles work well as splashbacks, and look great in a number of different colours. Brick tile patterns are not just used on the outside, and are being used more and more in your home. This pattern layout can be used with rectangular and square tiles, as well as the on trend and modern subway tiles. Remember that larger tiles will help a small room look bigger, and the brick tile pattern will instantly update your home. Geometric tile patterns are playful and add tons of personality to your home. It is an attention grabber for all the right reasons, and it is a design guaranteed to impress the neighbours. Geometric patterns work well with both vintage and contemporary styles, and look great around the home. Subway tiles will really bring your home up to trend, and is a great way to impress your neighbours. They look great as a backsplash in the kitchen or, as a shower tile. High gloss tiles will attract light into your home, making it appear bigger. If you have a smaller room and are looking for a way to make it appear bigger, using high gloss subway tiles as a backsplash, or as a feature wall will instantly do this. There is something very striking about a glass tile, and although they are normally associated with bathrooms, they are increasingly being used all over the home, and are no longer restricted to this one room. The come in all shapes, sizes and colours, and you look great as a feature wall, or as small little accents in your existing wall. Penny tiles are ultra-modern and reflect the size and shape of a penny coin. The great thing about these tiles is that you really can be as creative as you want to be. Much like small mosaic tiles, they can be used to create different patterns and features. Although they look great in all colours, bronze penny tiles will certainly get the neighbours talking and will give the design a more authentic appearance. An easy way to update your tiled walls without investing in new tiles, is to re-do the grouting. All grouting gets old and tired after a few years, and fresh grout will instantly update your home. A way to really update your home is to use a contrasting coloured grout. As most grout is white, go for a black grout. 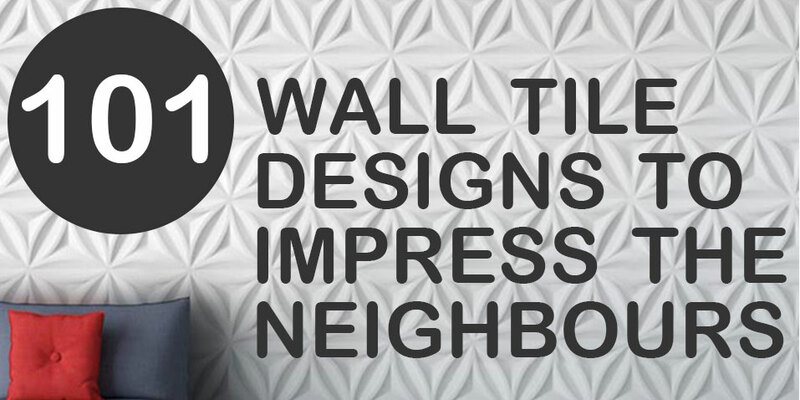 Not only will it make your tiles pop, but it will definitely grab people's attention. Step away from traditional tiling, and opt for wallpaper inspired tiling. Take inspiration from wallpaper patterns, and create a mural effect out of tiles. This is a very intricate tile design, and one that will definitely turn heads. Because of this though, it is better suited to being a feature wall. Hexagonal tiles will really bring your home on trend, and look great all around the home. Grey, white and black tiles make an excellent combination for a feature wall, and it will be an excellent talking point in your home. You can get as creative as you want with this pattern, and choose to tile a feature wall, or use it as an accent pattern. Florals are becoming huge this season, and floral tiles look both beautiful as a feature wall. Mix up plain tiles and different floral tiles to really create a one of a kind wall. This attractive design will not only be the envy of your neighbours, but will also look great all around the home. Laying your tiles in a basket weave pattern really creates a great effect in your home, and looks great in the bathroom. There are two ways to achieve this look. You can either lay your tiles in a large basketweave pattern, or you can look for tiles which have the basket weave pattern already on them. 3D tiles are an excellent modern feature for your home. The do exactly what they say and add dimension to your home. 3D tiles are just as easy to install as other tiles, and can work well in all rooms. 3D tiles are available in different patterns and colours, so you can match your existing theme. Whether you have a small or large area. Teal is being seen all over the home this season, so why not add it to your walls. Teal feature walls will look great in kitchens, either as a splash back, or a complete wall, or alternatively in the bathroom. Because teal is such a strong colour, it is best to keep other accessories simple. There is nothing more luxurious than marble, and it was seen a lot last year, and it is not showing any signs of slowing. It is a key interior material, and although it is pricier than a lot, it really will be the envy of all who visits. A key trend to look out for is floor to ceiling marble in bathrooms. Textured concrete tiles tie into the trend of bringing the outside, in. Not only are grey tiles bang on trend at the moment, the texture of concrete will add dimension to your room, and will automatically attract people's attention to your interior for all the right reasons. Large, concrete tiles, laid in the brick pattern will work really well in smaller rooms. Injecting some tropical prints into your home will add a dramatic look to your home, but one that is very much on trend. Unless you want to go bold, you do not have to cover the entire wall with these prints; instead opt for a pattern or a few carefully selected tiles for a more subtle look. Mosaic tiles have often been used in bathrooms and on kitchen splash backs, but it is time to get more creative. Create a feature wall out of small mosaic tiles, and get as artistic as you want. Incorporate different colours, or lay small mosaic tiles in different patterns. Wooden tiles are becoming extremely popular in the world of interior design, and they are no longer just found on the floor. Although popular a few years ago, wooden walls are back on trend, and add a real feature to rooms that are otherwise neutral. Depending on where the tiles are being laid will depend on whether you choose real wood, or wood effect; however, either will be envy of your neighbours. Spruce up your wall, by laying your tiles in different patterns. Herringbone tile pattern has become really popular and creates a really attractive and eye-catching pattern. For extra impact, incorporate two patterns into one room, and create a feature strip on the wall. This works well if you are using plain coloured tiles. The chevron tile pattern is similar to the herringbone pattern but does create a different appearance. With the huge amount of tiles that are now available on the market, it is a really achievable tile pattern to lay. Chevron wall tiles will give your home an understated elegance to it, and will work well with existing themes and patterns. The coloured backsplash has long been popular and it is no different now. Whether you choose small, mosaic tiles, or larger ones, make a statement with your backsplash. Be as bold as you dare, and let your personality shine through with this design. Purple and black tiled walls are really on trend this season, and will definitely make a statement throughout your home. There are different ways in which you can incorporate these two colours into your home. You can either go bold and lay alternate black and purple tiles, or you opt for smaller size mosaic ones which more subtly include the two colours. Either way this is a great combination and one that will instantly add glamour to your home. 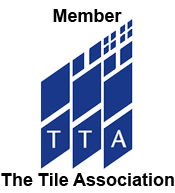 Many people are often afraid to use large tiles in their home, as they feel that it will make their home look smaller. The truth is though, adding large tiles to a smaller room will actually have the opposite effect and make it appear bigger. So, if you have a small room, this could be the best tile pattern for you. Fragment tiles are like a modern version of mosaic tiles. They are available to purchase as pre-made tiles which can then be fitted to your wall. These look great around the home, and make brilliant feature walls. They are available in different colours and size tiles. Modernise your home by creating linear lines within your rooms. Get smaller rectangular tiles and lay them vertically. These are available in different sizes, shapes and materials. Pop art tiles are a lot of fun, and will definitely be a talking point amongst friends. Create a feature wall with a twist, and install these tiles in your home. Just remember to keep the rest of the accessories subtle to avoid your home looking too crowded. Grey is such a popular colour and is being seen in interior design for a long time now, and it is not set to go anywhere quickly. Grey tiles look fabulous around your whole house. You can mix up the materials as well - consider grey wood, slate, porcelain or marble just to name a few. Travertine tiles look great in the bathroom, and will give your room a luxurious and elegant feel to it, that is guaranteed to get visitors talking. Remember, if you have a small bathroom, large travertine tiles will really open the space out and make it appear bigger. White is such a traditional colour in the home and looks great. However; if you want to revamp your whit room, swap normal size tiles for smaller mosaic ones. You will be surprised at what a difference this makes. They say that variety is the spice of life, so apply this to your wall tiles, and mix up the size tile that you use. You can either place them in a set pattern, or randomly placed. Bringing red into the home will really bring your interior design on trend. There are a number of ways in which you can do this. For bold choices, opt for high shine red tiles, which will instantly draw people's attention to your wall, or, for a more subtle look use a more neutral coloured tile, but use red grout to include some contrast. If you cannot decide on a particular pattern, why not add more than one. Mixed pattern tiles look great, and definitely make a statement. Hexagonal tiles really add to this design, giving maximum impact. Adding texture to your interior walls really adds dimension. Even the simplest of tiles will have more of a presence if there is some texture to them. Subway wall tiles are really popular these days and for good reason. They look great, and can be used throughout your home, although they are more commonly seen in kitchens and bathrooms. They are available in different colours and sizes, although they are normally smaller than normal size and longer. You can tile the whole room in a more neutral tile, or create a feature wall or splashback with a bolder colour. If you are looking to revamp the tiling in your home, using smaller square tiles are a great way to do this. It is a modern twist on usual tiles and will instantly create a different look. Do be aware though. This design is better suited to larger areas, as smaller tiles will make an area look smaller. Porcelain tiles are a real favourite thanks to their cost effectiveness and versatility. They are available in a number of different designs, colours and effects, so it is no wonder that they are a popular wall tile choice. They are incredibly easy to maintain as well, making them perfect for busy families. If you want to make a real statement in your home, add mirrored tiles to your walls. Not only do they look great, and will create an excellent feature wall, they will also help make your room look larger, so they are perfect for those with limited space. There is something incredibly elegant about floral prints, and it is guaranteed to be a talking point amongst friends and visitors. To really make this design have an impact, don't be tempted to cover an entire wall with these floral tiles. Incorporate them into existing themes, and add subtle floral hints. Many people are put off using darker coloured tiles in their home for fear that it would make their home appear smaller and more confined. Include mosaic borders or splashbacks, using dark coloured mosaic tiles to impact but not stop natural light from entering the room. Just like the different patterns, mixing up different tile shapes will create a completely unique pattern on your wall which will look great, and will be a talking point amongst friends. To make this design bolder, opt for different coloured tiles as well for a real colour splash impact. We have talked a lot about creating a feature wall, but what exactly is this? Focal or feature walls is when you tile one wall to stand out from the others. The could be the pattern, colour of the tile, or even texture of the tile. It creates a real impact in your home and looks great. Add dimension to your room with this simple tiling trick. Instead of laying rectangular tiles in the traditional horizontal pattern, mix it up and lay them vertically. If you are a fan of one colour, but want to mix it up in your home, use variations of this colour on the same wall. You can do this in a pattern to create a gradient, or scatter the colours randomly. Give the impression that no grout has been used by picking a grout colour that is exactly the same as the tile. This will give a really seamless application and will look great. Mint green is very much on trend at the moment, and looks great around the home, but particularly in bathrooms and kitchens. Combine subtle mint green with contrasting patters, to really create a unique room. Exposed brickwork is another great way of bringing the outside in. The terracotta colour, the subway shaped tiles and brick lay pattern combines a number of trends. This will create a brilliant rustic feel in your home, and looks brilliant around a fireplace. Vintage interiors are right on trend, and including vintage tiles allow you to add your own quirky touch to your interior. It is important to get the balance of this theme correct though, and too much can make this a very hard look to pull off. However; there are some great vintage tiles which will look great. Map tiles are a really fun way of creating a very unique wall. Whether you choose a road map, tube map, or world map, it is a great way of interjecting a personal touch to your home, as you can pick an area that means the most to you. Light blue tiles are another great example of on trend pastels. They reflect natural light, and will make the room appear light and airy, and generally happy. Pink tiles look great in bathrooms, whether you pick pastel pinks or brighter pinks. Make a feature wall using smaller mosaic tiles in a variety of different shades of pink. The straight lay pattern is one of the most commonly used tile patterns, and is incredibly easy to do. This is great if you are laying tiles yourself, and this classic look will always look great. If you are looking for an understated tile pattern, that will not detract from the rest of the theme of the room, this is perfect for you. This pattern, although similar to the straight lay, creates a more modern pattern, and involves turning square tiles at a 45 degree angle. This tile pattern looks great as a splash back in the kitchen, or in the bathroom. Although the chessboard tile patterns is usually left to floor tiles, it can easily be recreated on a wall. This design incorporates two different colours and creates a very elegant design. When using this tile pattern, the rest of the accessories in the room should be kept simple, to avoid looking fussy. Turquoise is a bold colour choice, but one that looks great as a feature wall. Consider a matte tile, or patterned tile to really make this design stand out from others. They are a great choice for bathroom designs and also en suites and wet rooms. Burnt orange is a very popular colour to use in Autumn; however, it looks fresh all year round. Matt burnt orange tiles look great in the kitchen. So, this is a very bold choice that might not be for everyone; however, it is being seen in homes more and more, and looks great in living rooms. It combines the theme of bringing the outside in, whilst creating a sophisticated feel. Be very careful not to overdo this colour though, as it best works as a feature wall. Black walls are actually popping up everywhere within the home, and can create a really great effect; however, it should be used sparingly. Black will not reflect the light at all, and can make rooms look smaller than they are. Counteract this slightly, by using large, high shine black tiles. Olive green wall tiles will give a very traditional feel to your home. Again, this colour should be used sparingly, and combined with creams and neutral colours to ensure your room does not look dingy. Matt, textured tiles will really finish this look off, and create a really attractive and welcoming wall design that will definitely impress the neighbours. Unleash your sunny side, by choosing this bright and happy colour to fill your home. Yellow is a brilliant colour choice, when combined with greys and white accessories. Raime coloured tiles are a great alternative to bright white tiles, and work across the whole home. This colour can be used across all walls and will complement any existing themes and colours. Lighter shades of purple are very on trend now, and has actually been named by many interior designers as one of the colours of the years. It soft and gentle colours work well around the whole home and is not set to go anywhere anytime soon. This is another great example of a twist on a neutral tile. Not only that, but it has been scientifically proven to have medicinal and calming properties, so if you want your guests and neighbours to not only be impressed with the appearance, but actually feel better as well, this is the choice for you. Taupe coloured tiles is a great mix between two colour trends - grey and brown. Similar to a mushroom colour, but a little lighter, this is a great colour to use throughout the whole home. Combine large marble tiles with accent strips of smaller similar and contrasting colour small mosaic tiles. You can also combine marble and mosaic with standard format tiles on a wall and mosaics on a floor for a decorative contrast. This combination looks great, and creates elegance in your home. It looks great in your bathroom. Don't think that it is only large hexagon tiles that can be used. Smaller mosaic tiles look really special when used as a backsplash in a kitchen or bathroom. Think about warm, metallic colours to really set this trend off. Oak effect tiles look great on walls. If you are not keen on using real wooden tiles on your wall, consider an oak effect tile made from durable porcelain. This will ensure that it does not become scratched easily and will stay looking great for a really long time. Reclaimed wooden tiles will definitely create a really rustic feel in your home, and looks great as an accent wall throughout your home. This shabby chic look, combines both wood tiles, and texture, which will really bring your home on trend and impress neighbours and guests. Slate tiles have been very popular and are right on trend. The good news is that they are not going anywhere, and look great around the home. These textured tiles have a natural non-slip quality to them, which makes them perfect for use in bathrooms, showers and wet rooms. Naturally this tile design looks great in the bathroom, and will certainly create a wall that is very much on trend. Create a feature wall using teal, and blue green tiles, for maximum effect. Monochrome tiles are not going anywhere quickly; however, you can really bring this on trend, by combining this highly versatile pattern with grey variants instead of black and white. This timeless and elegant design will easily fit in with existing themes. Think about combining vivid tones that you would find in jewels to really create an impressive backsplash. This adds a touch of luxury and elegance to your home. Think about combining shades of purples, scarlets, sapphire blues and emerald greens to set this theme off. Ceramic tiles are a great choice for wall tiles. They are available in a number of different colours, textures and designs, and make a great choice for kitchens. They are easy to clean, and can be installed easily. They are also great for those who are on a smaller budget as they are very cost effective. Porcelain tiles are incredibly hard wearing which makes them popular in bathrooms, showers and wet rooms. Although they hold some similar qualities to ceramic tiles, they do have differences. They are available in a range of colours and patterns and make a great alternative to more expensive materials. Cream and grey Porcelain Tiles are very popular for bathrooms. Natural stones are incredibly popular and will make any home look incredibly elegant and luxurious. Natural granite and marble are the height of luxury, and more textured materials such as limestone and slate will add dimension to your home. Quartz wall tiles are a brilliant choice for any wall. They are available in a number of different sizes and colours, and will definitely add luxury to your home. What makes quartz tiles so special is that they not only have a high shine finish that will not dull over time, and the small mirrored particles that can be found in the tiles will reflect light, giving a glittery appearance to the tile. Adding a feature border is a great way to break any tile patterns or colours up on a wall, and will divert focus away. If you are using a neutral colour over the rest of the wall, it is a great way to interject some colour or texture to your wall. Although this elegant pattern is normally used on the floor, it can be used in small, feature areas on the wall as well. It involves laying four different sizes of tiles, and is relatively difficult to lay yourself, and is best left to the professionals. This will create a great impact though, and will certainly impress any visitors. Go bold and make a brave choice by incorporate bright blue wall tiles, with other blue furniture. This looks great when used in living rooms, but mix it up by contrasting different textures and finishes. If you want a colour that will definitely make an impact, and completely transform your whole room, opt for a truly stunning emerald green. You can combine this look with modern, wooden and oak accessories, which will complement this colour well. Introducing brown into your home should not be scoffed at and looks really great. Think along the lines of dark wood, as opposed to dark and dingy. Keep accessories neutral to ensure that natural light can reflect in this room to avoid it looking small. There is something very exciting about adding neon tiles to your wall, and it is an easy way to instantly brighten up an otherwise dull wall. Use neon tiles sparingly to avoid the wall from look too garish! There is something incredibly regal about pairing navy with gold, and this is translated well on walls. Again, because you are using a darker base colour, it is better suited to a feature wall as it will prevent your room from appearing smaller than it is, but add accents of golden tiles throughout. Geometric patterns are set to be huge this year, and it looks like they are not going anywhere. Geometric patterns can be combined with both contemporary and traditional themes and styles and will definitely grab people's attention when they visit. The pinwheel design is sometimes referred to as a hopscotch design and creates a really modern look and feel to a room. This pattern can be used with two contrasting colours and consists of a small square tile, that is surrounded by four larger ones. Although the windmill pattern is similar to the pinwheel, it is in fact a small square tile, which is surrounded by four larger rectangles, which somewhat gives the appearance of a grid of dots. It is a brilliant way to revamp a plain wall, and again can be used with two contrasting colours. Triangular tiles definitely create a great impression in any room. They will instantly create a modern, and on trend feel to a home, and can be used with any of the previously discussed patterns or colour themes. The great thing about this pattern is that it can fit into any existing theme. Creating a trim or a border around your wall, will break up colours, and patterns, allowing you to include different colours which will add dimension and depth to any room. This looks particularly good in smaller bathrooms, as it gives the illusion of space. Black metro tiles look great in a kitchen and make a fantastic feature backsplash. They add a brilliant, modern feel to the room, without detracting from too much light. Perfect for large and small rooms. Matt tiles are set to be huge this season, and are a great way of introducing white into a room, without making it too clinical. Whereas high shine tiles will reflect the light, matt white tiles will not, although the white will still give the impression of a larger room. Matt tiles add texture as well, making them great for bathrooms. Don't be afraid of including browns and silvers into your home. Although they sound like they should be drab colours, they actually work really well with existing trends and themes, and add a really classic feel to your home. They are warming, welcoming colours, and work brilliantly across your whole home. Add a classic chessboard style with black and white tiles. This classic combination has a timeless appeal and works to stunning effect in any room. This is a great idea for a feature wall or backsplash and can be used to match with any existing themes that you have in your home. Lustre pearl effect tiles are a fantastic way of giving a classic tile a modern twist. They create that attractive glow that will add dimension and depth to your room. Duck Egg Blue Tiles are a decorative and elegant choice for walls. They brighten up interior layouts, providing a unique style. They are a very good choice for modern bathrooms and kitchens, matching well with popular black and white colours. These brick style duck egg blue tiles are ideal for incorporating within contemporary decors. This is an excellent way of bringing the outside in, and wall cladding will not only create a really unique and eye catching design, but will work with existing themes. Cladding will work all around the home, from kitchens to living rooms, and is available in a huge range of colours. Limestone Tiles are a brilliant material, and one that is often forgotten about. Not only does it look great, but is also available in a number of colours, which many do not realise. This versatile material will look great with existing themes, and is a brilliant material to use in bathroom and kitchens alike. Brick mosaics look fantastic as a backsplash in a bathroom or kitchen, and have long been on trend. Add a modern twist to this theme by changing to large brick mosaics for maximum impact. This is better saved for a larger room though, as large tiles in small rooms will make a room look smaller than it is. Create a standout look with Galaxy Granite Tiles. These natural stone tiles are perfect for a feature wall in bathrooms and kitchens. The combination of a distinctive black colour and copper flecks produces a real wow factor. Granite is also low maintenance and extremely easy to clean and maintain. If you want to have the luxury of marble in your home, but your budget does not stretch to an entire wall, consider including marble mosaic tiles, which can be used to create a border, or splashback. Marble Mosaics are available in a range of colours, and is a classic trend.